Just four more lectures before Hogwarts University closes for good! (At Alfred, anyway. The exhibit will be moving on to another library, and maybe they’ll be having some exciting programming, too.) This week was a particularly intriguing one to design a flyer for, and a fascinating topic in general: invisibility! 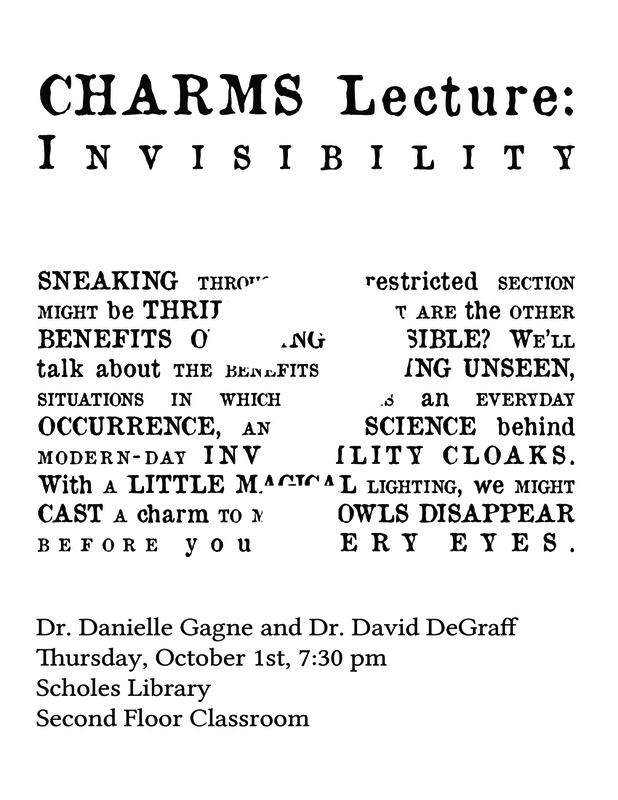 Dr. Danielle Gagne will be providing some insights on invisibility this Thursday, October 1st, at 7:30 pm. The talk will be held in the Scholes Library second floor classroom–just ask at the desk, and the students can direct you to the right place. Be sure to check out the floating candles as you walk into the building! Sneaking through the restricted section might be thrilling, but what are the other benefits of being invisible? We’ll talk about the benefits of being unseen, situations in which this is an everyday occurrence, and the science behind modern-day invisibility cloaks. With a little magical lighting, we might cast a charm to make bowls disappear before your very eyes. Time Travel Sunday and Leadership Monday! The idea of time travel, and being in two places at the same time may seem to require a witch’s or wizard’s skill, but the laws of physics do not forbid time travel. What are the rules of totally true time travel? What could you do, and what would be forbidden? We will also look at some actual time machines you can build in your basement (if only you could find that one missing part). This workshop will explore classic leadership theories and styles through the lens of Harry Potter, using the characters as examples of varying styles, and levels of leadership development. We will examine the Social Change Model of Leadership, the Leadership Challenge, Kohlberg’s Morality Scale, and Chickering and Reisser’s Vectors of Human Development. Brown bag lunch workshop. LIVE OWLS (and a snake)!!! Come see live owls from Hawk Creek Wildlife Center this Thursday, September 24th, from 7:30 to 8 pm in Nevins Theater! The wildlife experts at Hawk Creek are traveling to our campus to present their “Harry Potter’s Owls” program, featuring three live owls as well as a snake (Nagini needs some representation, too!). Come to this Care of Magical Creatures demonstration to see them in person and learn about the lore and legend of owls–and how it stacks up against the feathery reality. At 30 minutes, this event is shorter than our Hogwarts U. lectures, so be sure to show up on time so you don’t miss it! Many thanks to the Pre-Vet Club for working with us and making it possible to bring this event to campus, as well as the Student Affairs office for assisting with funding via the Student Life Enhancement Fund. Two new talks added to the Hogwarts U. roster! We’re very pleased to introduce a new Hogwarts University professor! 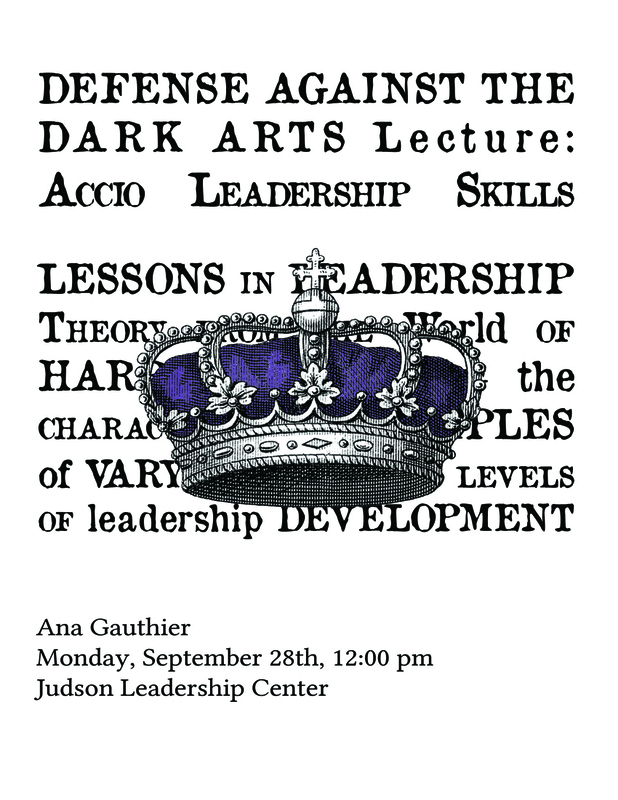 Ana Gauthier will be presenting two lectures in the Hogwarts U. series. Thank you to everyone who braved the dementor weather on Sunday and filled Dr. Emmons’s talk past capacity! Hermione’s opinion on why she should want to take Muggle Studies, even though she’s Muggle-born, still resonates outside the Harry Potter World. Here, our magic is science, and social science has been researching the impact of the Harry Potter series on readers’ attitudes and behavior since the series established itself as a cultural icon. For example, psychologists have found that reading Harry Potter books reduces people’s prejudice toward disadvantaged people and minority groups. This talk will share some of the amazing findings from studies on the Muggle fans of the books and invite listeners to participate in discussion of the implications of those discoveries. 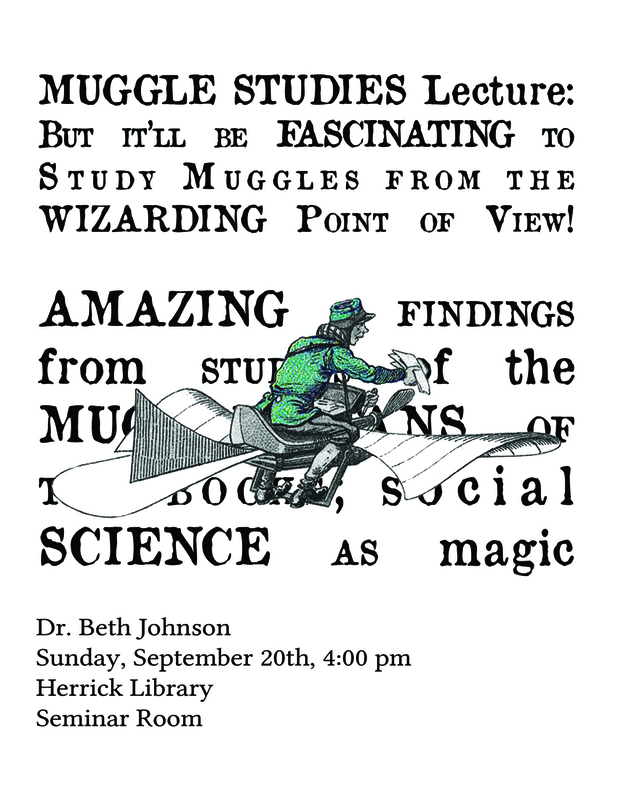 Dr. Johnson will be speaking this Sunday, September 20th, at 4:00 pm in the Herrick Library Seminar Room. On the same day, the Alfred Village Farmer’s Market will be running their special Hogsmeade Market, with events and vendors themed around the world of Harry Potter. We recommend making a day of it by browsing the Hogsmeade Market and then coming to hear the talk! Does Sunday seem too far away for more Harry Potter? 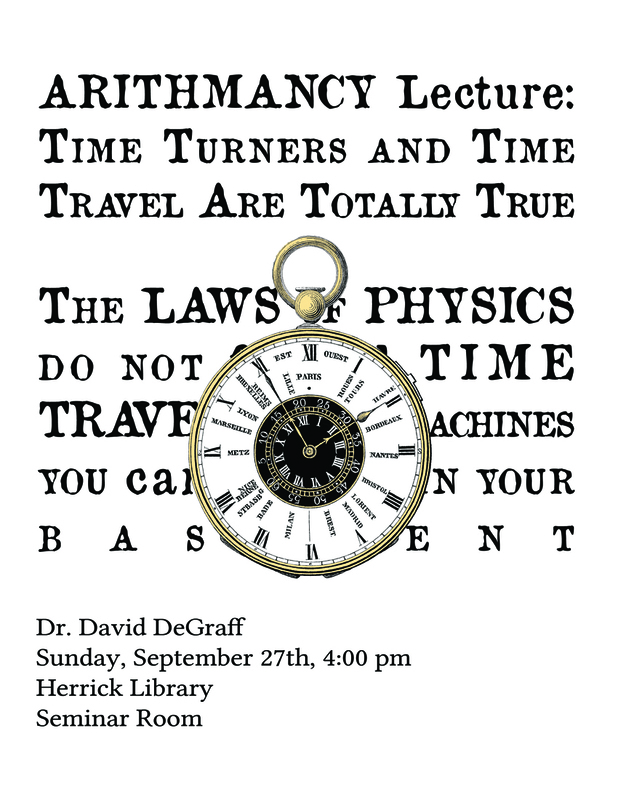 Fortunately for you, Herrick will also be hosting a showing of the movie Discovering the Real World of Harry Potter. This critically-acclaimed documentary explores the myths and legends that inhabit the real world of Harry Potter, including gods and goddesses, ghosts, alchemy, and much more. The film showing will be at 8:00 pm in the Book End Lounge at Herrick Library, Thursday, September 17th. In brief: Movie on Thursday, lecture and market on Sunday. Come on by! For those of you who want to keep up with your Hogwarts studies: Haven’t gotten enough Herbology lessons yet? 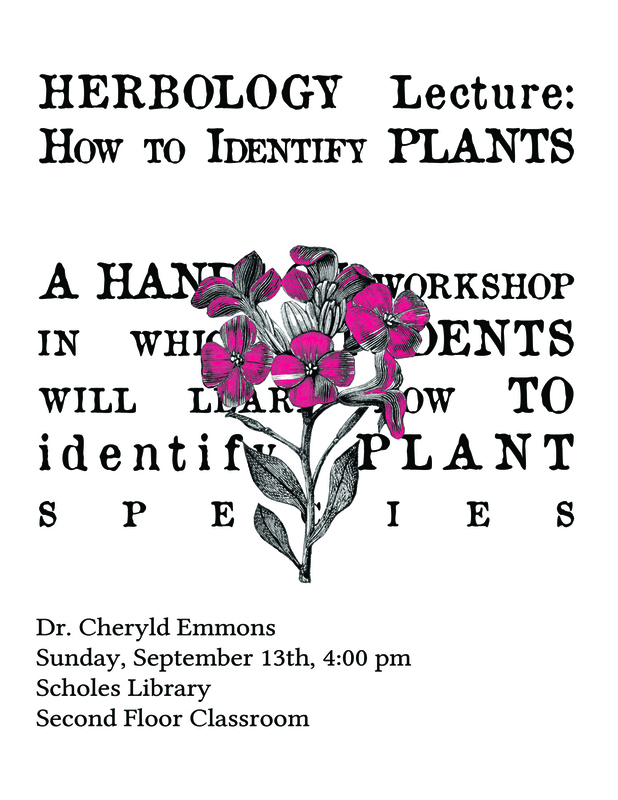 Come take Herbology 101 with Alfred University’s own Professor Sprout: Dr. Cheryld Emmons, Professor of Biology, who specializes in plant breeding, genetics, and the phenology and biodiversity of local flora. Herbology 101 will be a hands-on workshop in which participants will learn how to identify plant species. The lesson will be held at 4:00 pm this Sunday, September 13th, in the Scholes Library second floor classroom. We will investigate several spells from the world of Harry Potter through the prism of Chinese Medicine and offer up classical Chinese formulae as the antidote. 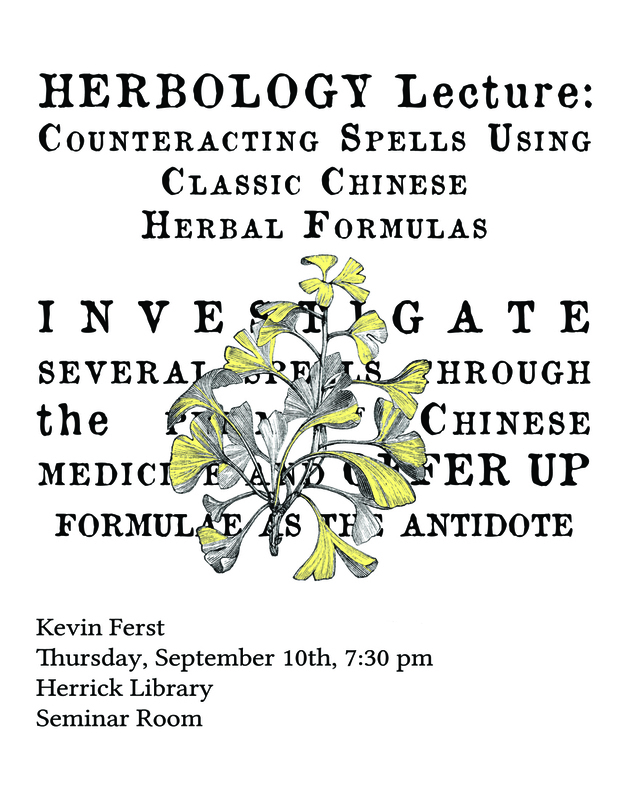 He has already mentioned several very interesting parallels between Chinese herbal medicine and spells in the world of Harry Potter, so I’d encourge everyone to come! The talk will be held at 7:30 in the seminar room in Herrick Library; library workers at the circulation desk will be happy to direct you if you’re not sure where to find it. Stay tuned to hear about our second Herbology class this Sunday!